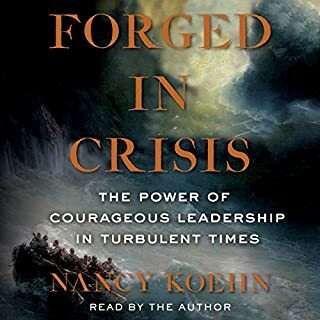 An enthralling historical narrative filled with critical leadership insights that will be of interest to a wide range of listeners - including those in government, business, education, and the arts - Forged in Crisis, by celebrated Harvard Business School historian Nancy Koehn, spotlights five masters of crisis: polar explorer Ernest Shackleton, President Abraham Lincoln, legendary abolitionist Frederick Douglass, Nazi-resisting clergyman Dietrich Bonhoeffer, and environmental crusader Rachel Carson. This book chooses several stories to demonstrate "courage under fire," metaphorically speaking. They are good stories and this ought to be a great book. It's not. Somehow, the stories fall flat. The writing is a bit clichéd. The excitement, the tension, somehow just doesn't come through. In the story of Lincoln, for example, the author goes on way too long about Lincoln's childhood. There is just too much background material that is already well-known to Lincoln fans and largely irrelevant to the story at hand. The stories would probably come across stronger with a better narrator. This book is a perfect example of why authors should generally not narrate their own books. The best professional narrators give the impression they are simply telling a good story. The author here reads very much like a well-read high school student. It's impossible to forget that she is reading. An occasional mispronounced word doesn't help. This book is a disappointment. I delayed purchasing this book because some of the reviews indicated the author is too biased in favor of Carter. But Carter biographies are a bit limited on Audible, so I did finally get it. I'm so glad. 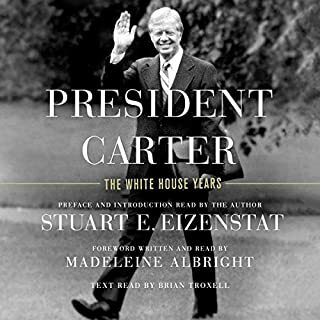 It is a detailed account of Carter's years as president boy one of his highest staff advisors. It lays it all out - the successes, the failures, the flaws. I wish I'd paid more attention to what was going on politically back then, so now I understand, about forty years too late. But still - finally. Good book. Highly recommend. A good friend recommended this to me as an antidote to the intense and non-stop political hysteria of the season. She described it as an old-fashioned English novel of manners that brings civility back to literature. Well, it does that. I admit that, for me, it starts very slow, and I couldn't see where it was going, or that it was going anywhere. But it did, and not where I might have expected. The story opens slowly, and just when you think you have the thrust of the plot, it turns on the winding staircase that is the plot and reveals another view. The entire story takes place inside a single building, and even at the end, when you think: Aha! I've got it now!......you don't. There are many reasons to read this, not the least of which is to learn just how subtle and unexpected a quiet novel can be. Over the last couple years I've come to appreciate Jonah Goldberg more than I ever did in the past. I don't always agree with his conclusions, but I can follow the logic that leads to them, even if I would have drawn different conclusions from the facts. And he does generally follow logic, not emotions. In this book, however, although his premises are generally sound (even for a liberal like me), I was very much put off by his very one-sided approach to the problems he discusses. 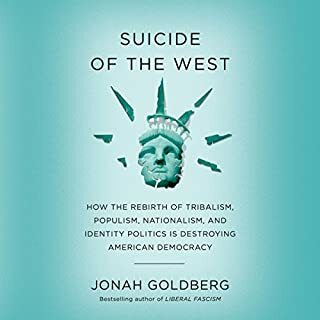 In his view in this book, all the problems are exhibited by liberals, even though i could (in my head) list just as many instances where the conservatives have contributed just as much to the problems. And his narration does not do his writing justice. He's not a monotone, far from it; in fact, he over-emphasizes at times to the point of seeming almost hysterical. He sounds a lot like a teenager who has been told to read with expression and who loses the naturalness of the reading in the effort. I think the ideas might come across better if they were read by a professional reader. 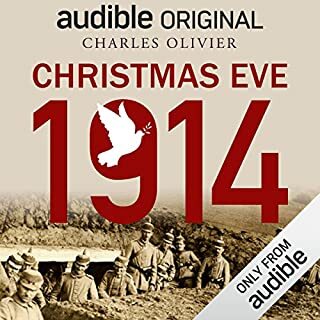 An absolutely perfect Christmas Eve story, and helps consolidate the images that so many of us have heard of but have never seen/heard dramatized. My only complaint: the download would not open and play on my iPhone. I had to listen at my desktop. 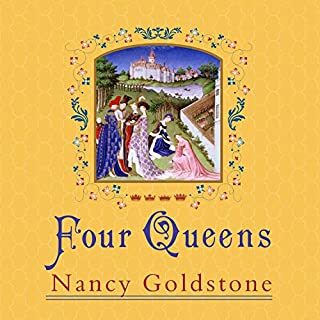 Set against the backdrop of the turbulent 13th century, a time of chivalry and crusades, poetry, knights, and monarchs, comes the story of the four beautiful daughters of the count of Provence, whose brilliant marriages made them the queens of France, England, Germany, and Sicily. This is a fascinating story about four sisters, daughters of a minor nobleman, all married powerful men who ruled important pieces of Western Europe. There is intrigue, jealousy, power clashes, backstabbing - everything you'd expect from such a situation. Unfortunately, a lot of the potential drama is lost because of the narrator. Josephine Bailey has a beautiful and well-modulated voice, very easy to listen to. The problem is, no matter how tense the action becomes, her voice is always - well- modulated. No excitement, no hoarse whisper when things get tense, never any difference in speed or expression. I've listened to a few books narrated by top-notch actors, and it makes all the difference in the world. And some narrators of fantasy fiction do a marvelous job setting a scene with the tone of their voices. That said, this story would make a wonderful multi-season British TV series, every bit as interesting as "Victoria." The book is marvelous, but I especially want to comment on Dennis Quaid’s narration. He certainly has the right stuff for this book - the laid-back drawl, the perfect inflection, the sense that he is watching the events unfold before his eyes. The result is that I felt as though I were watching a movie and simultaneously reading the characters’ thoughts. Top-notch narration! 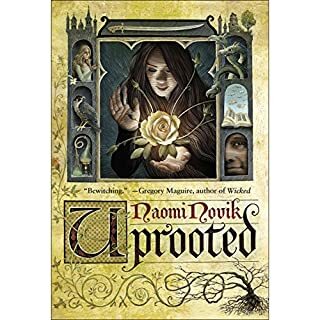 I'm a fan of Naomi Novik's Temeraire series, and I was looking forward to this book. It does not disappoint. The magic is imaginative, and the story is not predictable. I would give the audiobook a higher rating....except for the narrator. I cannot fathom the logic of having a book written in English read by a non-native English speaker. Perhaps I'm missing something? 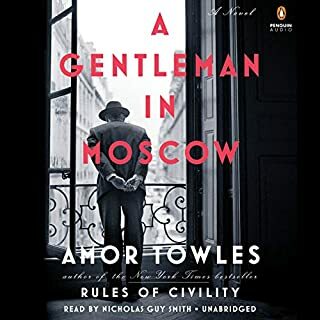 The strong accent, the mispronunciations, the very jerky reading with odd stops and pauses make the book very hard to listen to. VERY hard. 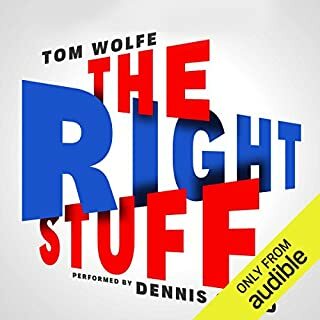 I recommend the book very highly but suggest potential readers buy the book, rather than the audiobook. 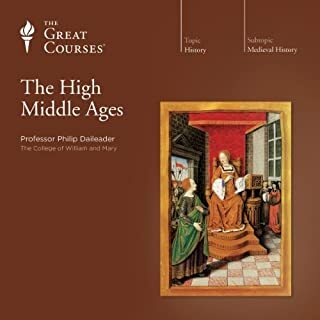 It would be impossible for anyone to cover the High Middle Ages in twelve hours, so there was more about some subjects, less about others, than I would have liked. I like the approach by subject, rather than timeline, as it maintained a focus within each lecture. For me, what I somewhat disliked was the narration. The professor is an animated speaker, which was excellent. But he tends to rush phrases to the point of speaking so fast that he drops whole syllables, while drawing out other phrases unnecessarily. So the pace was uneven. Occasionally he drops his voice so low at the end of sentences that I couldn’t make out the last several words. And he frequently sighs heavily in mid-sentence. I doubt I would notice any of this if I were sitting in a classroom, but with no visibility of body language, and with a mic amplifying everything, these became distractors for me. I don’t regret buying the course, though. I was hoping for insight into the daily routine of the Franks, what technologies they used, what their values and motivations were. This has none of that. This is, however, a complete-to-the-last-detail history of the kings, chieftains, petty rulers, and bishops of the Roman Catholic Church. 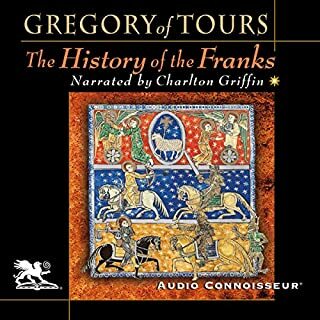 It is exhausting, but it is as complete and (given the time in which it was written) accurate a history of the Franks as you can get. Listening to it would have been painful except for the narrative. Man, this narrator is good! He could infuse a phone book reading (if we still had phone books) with intrigue and mystery. If what you want is the details of the wars, the assassinations, the jealousies, and the constant changes of rulers, this is the book for you. And this is the narrator for everyone.